Obey the Great Old One and wear this patch with pride! Oh, well. At least, you get to show your allegiance with the "Obey Cthulhu" Patch. 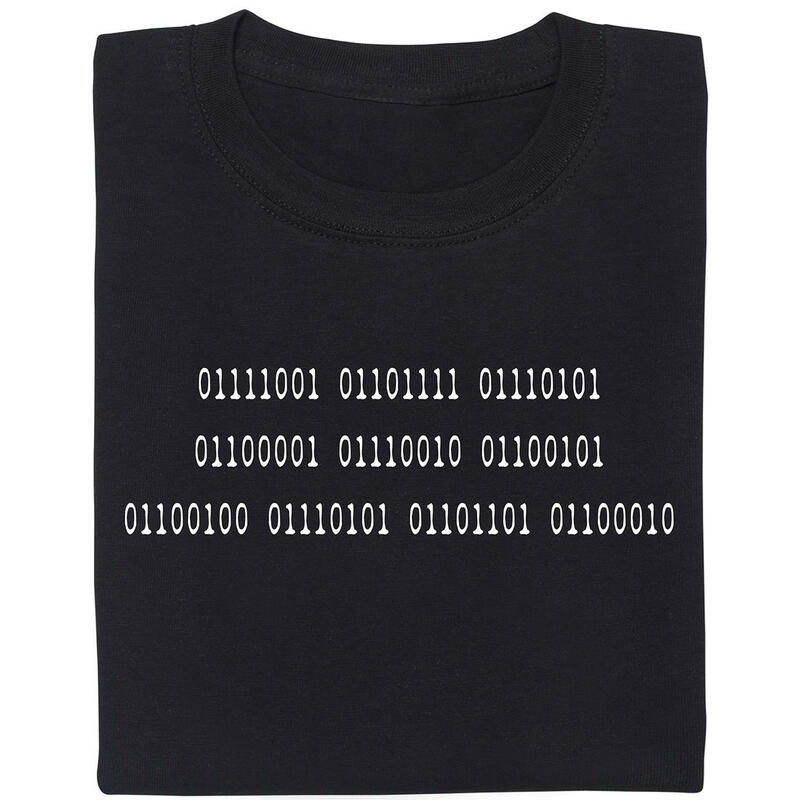 Other devout disciples of the one true alien god will be able to recognize you in public  and, hey, you might even get one or two nonbelievers to join the cult. 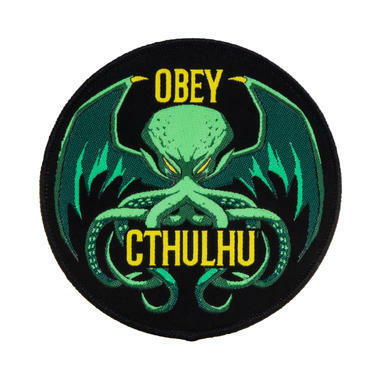 The woven patch shows the head of your god and the slogan "Obey Cthulhu". Pretty straightforward, right? Thanks to the coated underside, you can simply iron the patch onto a textile of your choice. From backpacks, jeans, biker cuts all the way to cultist robes, this patch will instantly enhance almost anything! Additionally, you can sew it on with a needle and thread for added strength. The needed skills for that are taught by Dr. Yog-Sothoth on Tuesdays in her class "Crafts for Cultists", by the way ;). 1. Iron the area you want to apply the patch to until the textile is wrinkle-free. 2. Carefully place the patch and align it as desired. 3. Cover the patch with a cotton cloth for protection. 4. Press the patch down with a regular iron set to 150 degrees Celsius for approximately 20 seconds. Please note: As soon as the patch is ironed on, you can only remove it by cutting it from the piece of textile. The glue on the patch needs to be heated thoroughly and be able to penetrate the textile completely for best results. Depending on the chosen fabric, you might need to iron again from the inside of the textile. We recommend ironing on the patch and sewing it on afterwards with quality yarn for a truly strong hold. Trust us: years of sewing patches onto motorcycle and heavy-metal cuts have taught us that nothing beats a few minutes with a needle and some thread! 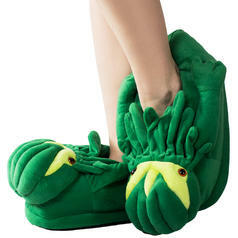 34.95 £ lade... Cthulhu Plush Slippers Plushy Slippers in the Shape of the Mighty Cthulhu from the Mystic Tales of H.P. Lovecraft! 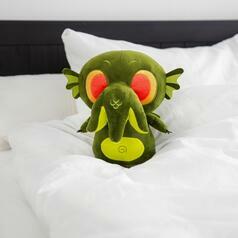 22.02.19 21.95 £ lade... Funko Plush Cthulhu So scary - yet so cute! 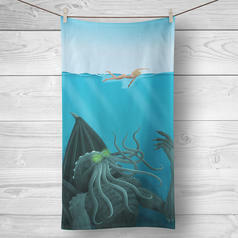 This giant Cthulhu wants to take over your heart instead of the World! 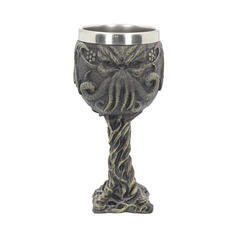 05.03.19 21.95 £ lade... Cthulhu Goblet Raise your glasses to honor the greatest of the Great Old Ones - Cthulhu!